We are delighted to introduce a new three night Mediterranean cruise onboard the luxurious 540-guest Silver Spirit. 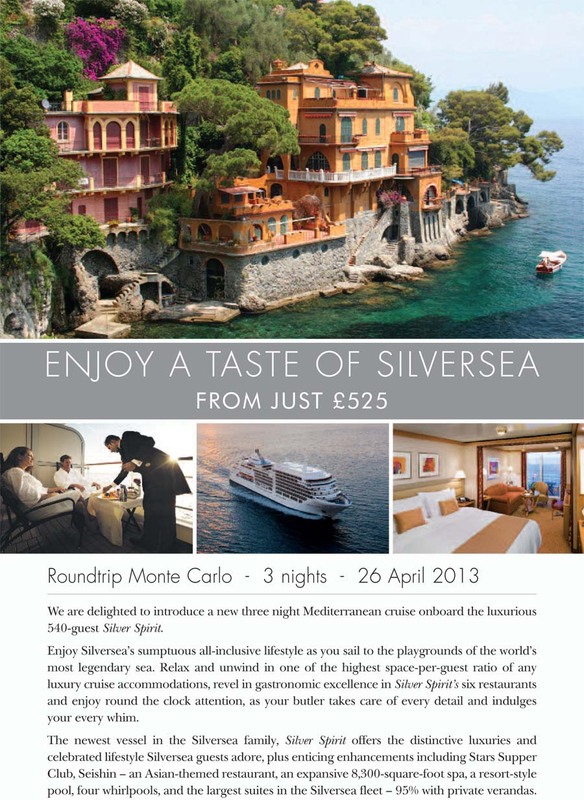 Enjoy Silversea’s sumptuous all-inclusive lifestyle as you sail to the playgrounds of the world’s most legendary sea. Relax and unwind in one of the highest space-per-guest ratio of any luxury cruise accommodations, revel in gastronomic excellence in Silver Spirit’s six restaurants and enjoy round the clock attention, as your butler takes care of every detail and indulges your every whim. The newest vessel in the Silversea family, Silver Spirit offers the distinctive luxuries and celebrated lifestyle Silversea guests adore, plus enticing enhancements including Stars Supper Club, Seishin – an Asian-themed restaurant, an expansive 8,300-square-foot spa, a resort-style pool, four whirlpools, and the largest suites in the Silversea fleet – 95% with private verandas. 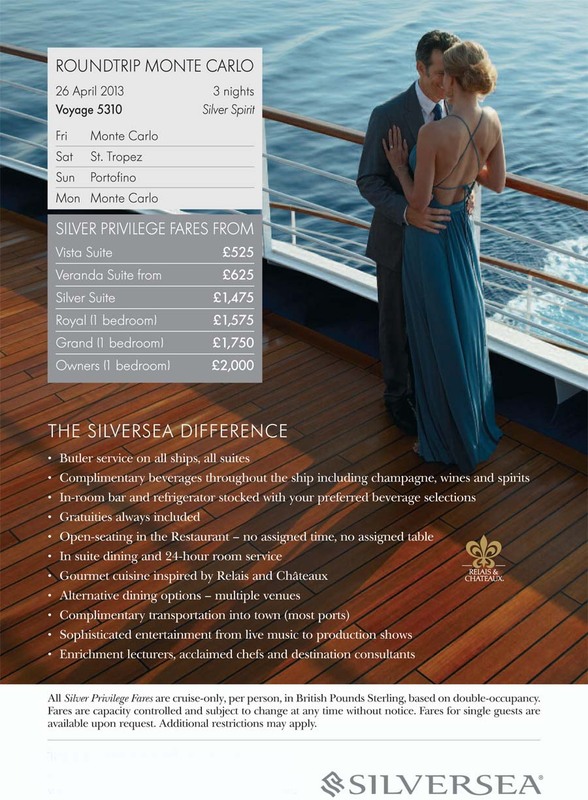 Please call Deluxe Cruises today to enjoy your taste of Silversea.